Suffer from allergies? 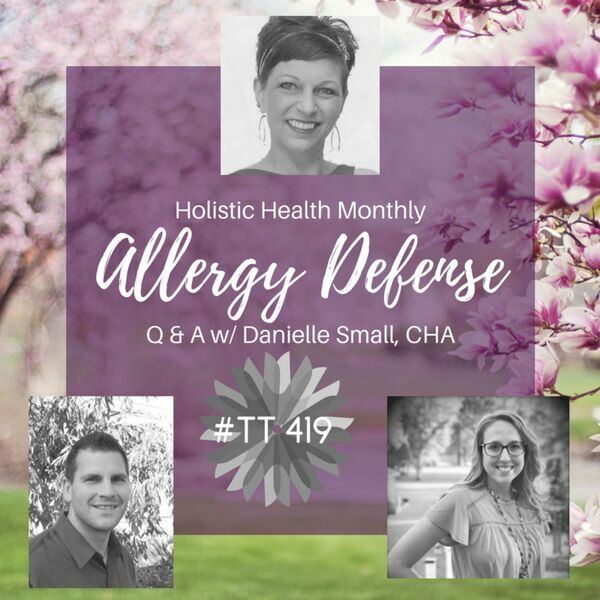 We cover some of the most essential changes you can make in your life to combat seasonal, environmental, and even (minor) food sensitivities. Danielle Small, Certified Holistic Aromatherapist answers some of our biggest questions. From reducing plastic (yes, plastic contributes to sensitivities! ), to what essential oils may help improve air quality, to diet changes, to utilizing natural supplements and saline rinses. Rose talks about how she's dealt with her significant allergy issues and what she's learned through the experience. Matt ends with a quick discussion on using Emotional Freedom Techniques tapping.